Have you ever wanted to be an astronaut or just love space? 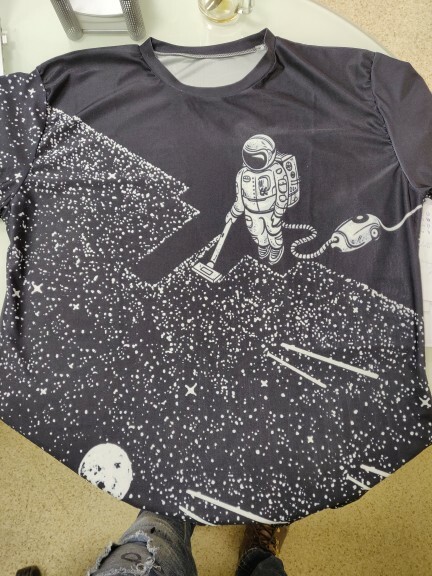 This short sleeve t-shirt is a funny picture featuring not only an astronaut, but many cool space aspects. Inspire others with this cool and stylish shirt for all of your casual occasions. Check the sizing chart in the second picture. Nice 3d print. I like it.Thank you seller. Color is very different from the photo, good print.